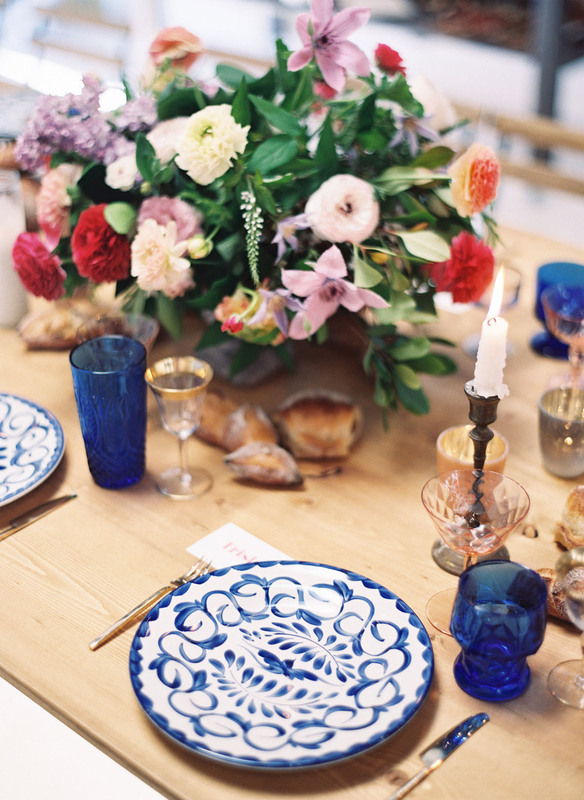 We love how weddings can inspire so many other fun life events and, vice versa, that we can all find inspiration for planning an amazing wedding through a stylish birthday party or well-designed get-together. 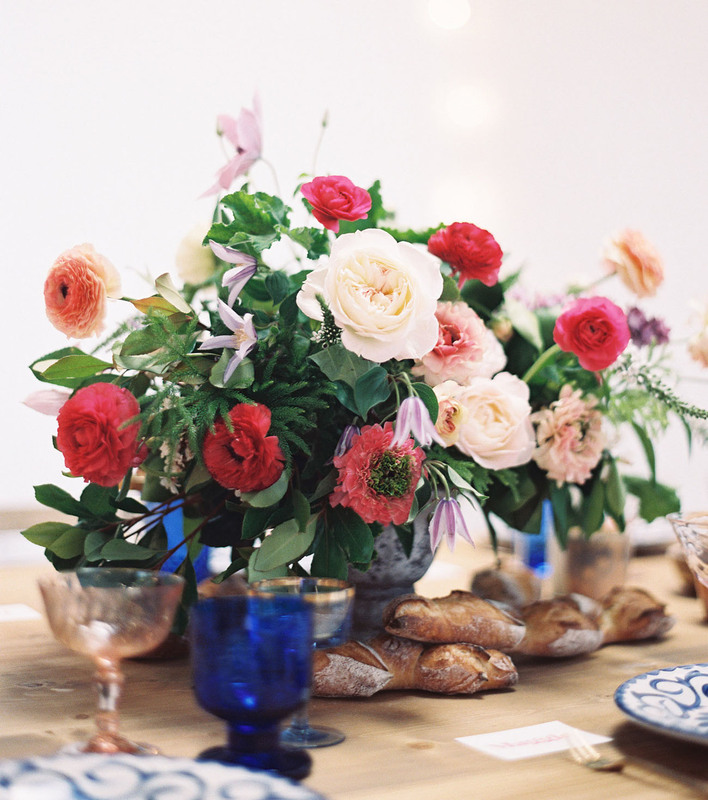 Today’s feature, a gorgeous birthday party hosted + styled by our girl, Rachael, of Lace & Likes at her new studio space, The Romantik Studio, is exactly what we are talking about, and we’re guessing you’re about to find yourself mega-inspired! Rachael’s studio mates at The Romantik Studio – Kasia, of Plenty of Petals, and Maggie, of Type & Title – both were celebrating big birthdays this year and wanted to have a joint party together. 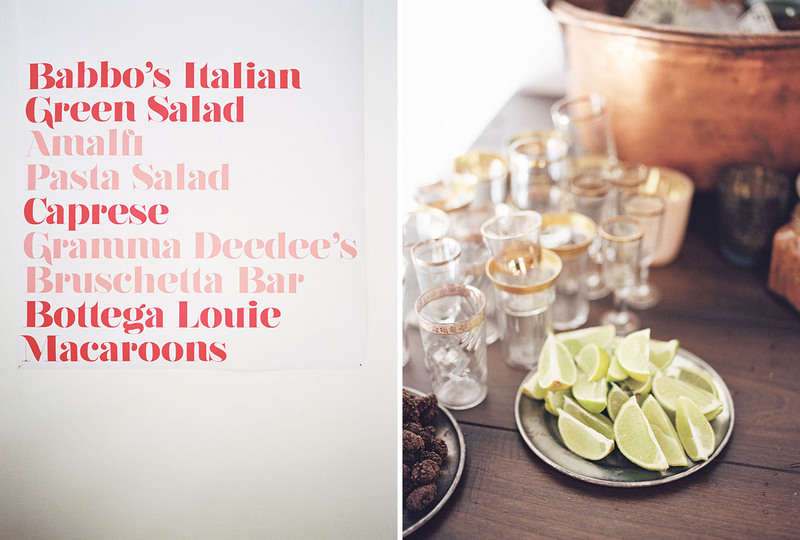 Rachael knew there would be no better place than their new space to host this special event so, with that detail taken care of, plans for an Italian-inspired bohemian birthday bash were soon underway. 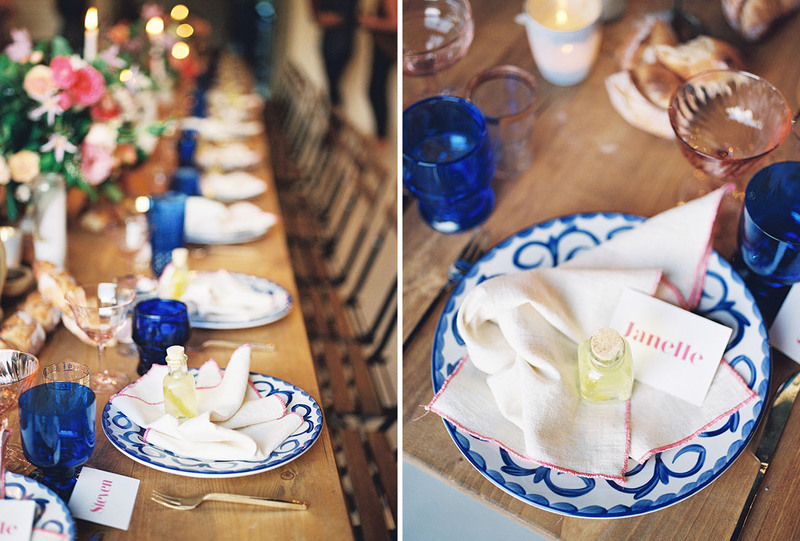 Rachael tells us, The girls both have dreams of visiting the Amalfi Coast, so I kinda ran with that as their party inspiration! 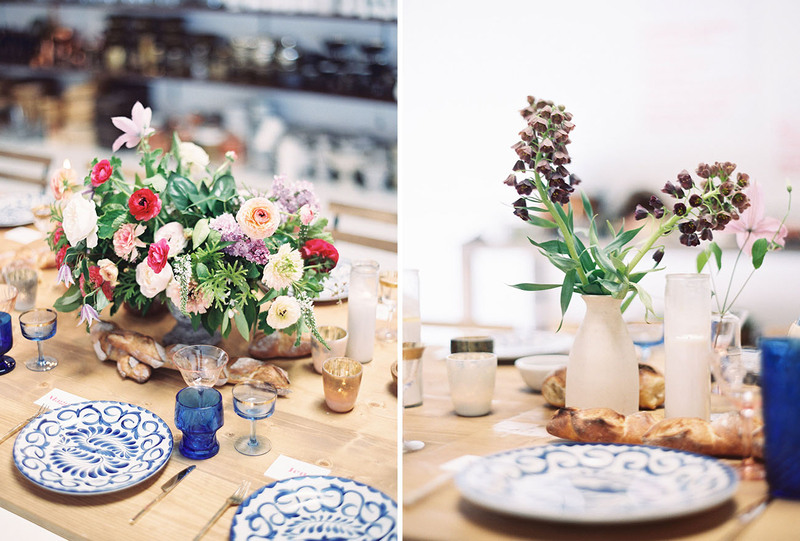 Bright colors, garden-inspired blooms and charcuterie/baguettes right on the table. We got all the baguette/bread goodness from our dear friends at Prager Brothers Artisan Breads. And it honestly made the table, I think! 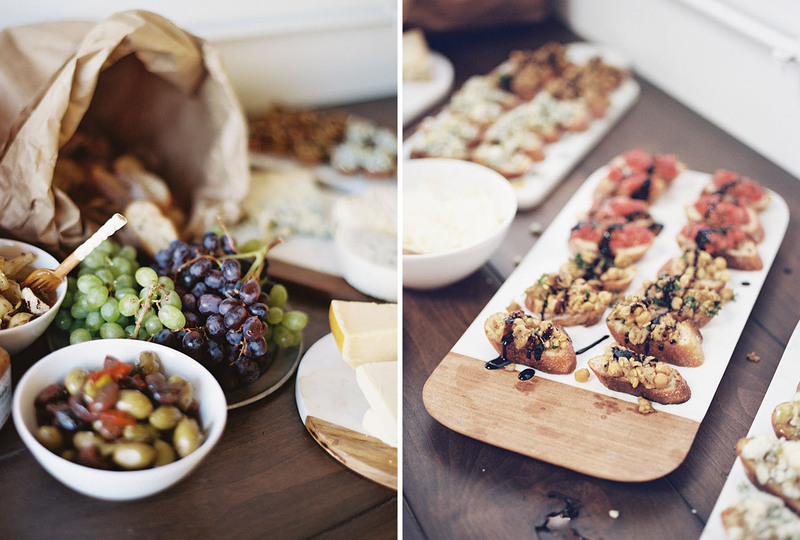 Each table had two marble/wood bowls with olive oil and vinegar for dipping – I made all the bruschetta bits from recipes found online for guests to snack on, along with the Italian inspired salads/pasta dishes. 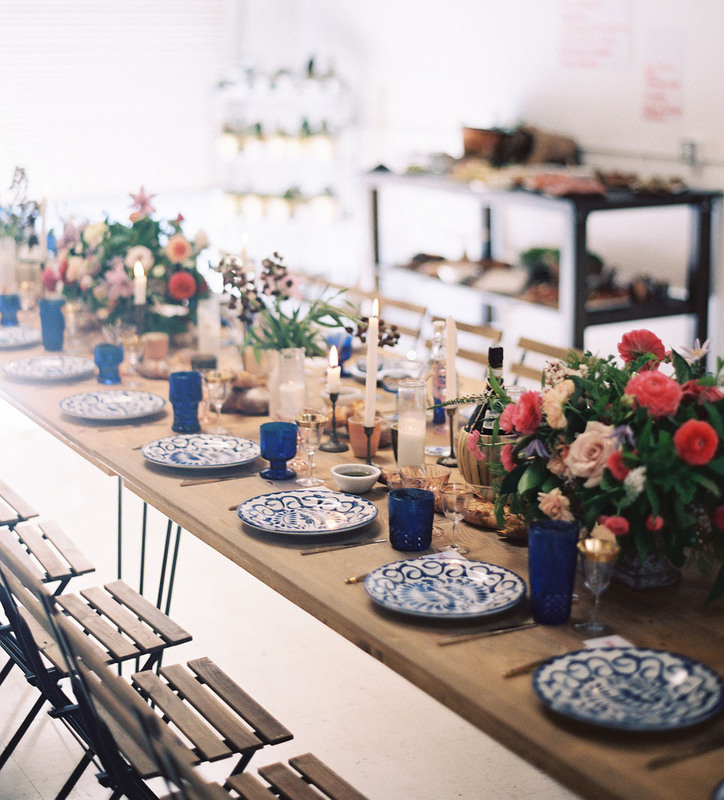 The focal point of the party was the gorgeous communal table (with rental pieces provided by Witty Rentals + Adore Folklore), filled to the brim with blooms by Siren Floral Co. and Italian-inspired tableware from Hostess Haven. Before the feast, guests enjoyed touring the stunning new space with a homemade Limoncello or other fun, fizzy drink of choice in hand. We love the captures from this beautiful event, too. 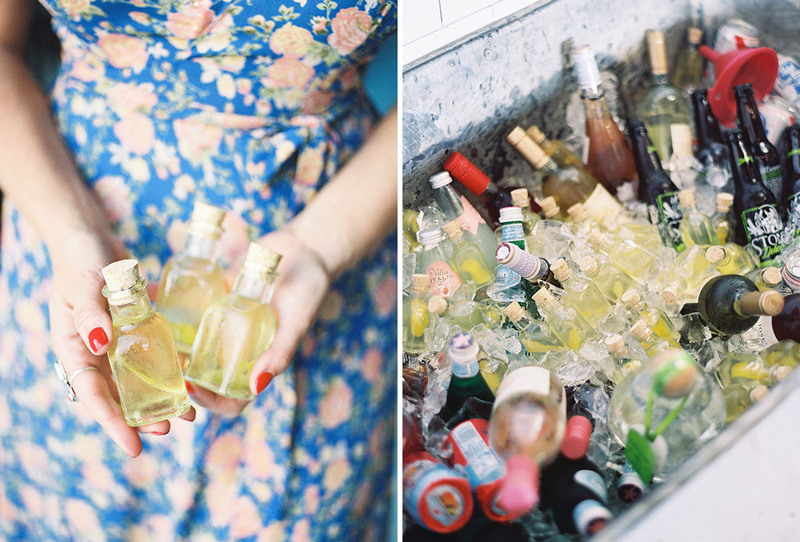 Ashley Keleman + Jen Wojcik tag-teamed the photography. Bravo, girls! 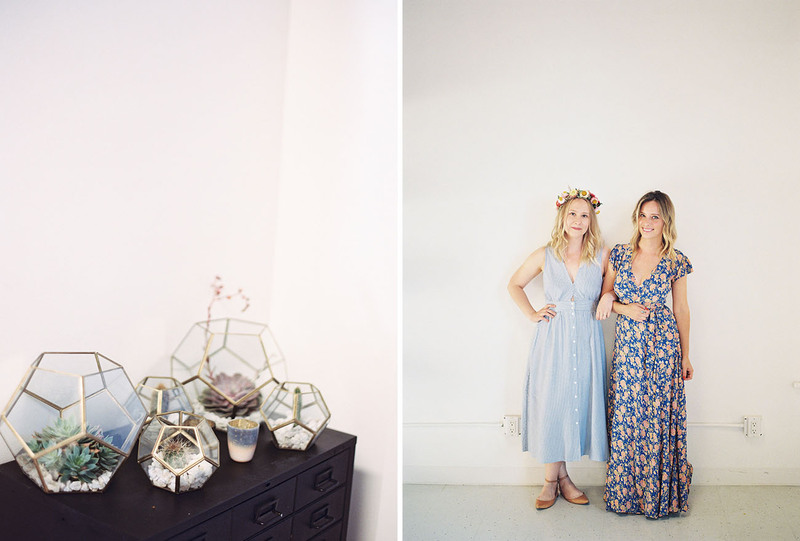 Before we see more of the soiree, we just have to hear a bit more about this gorgeous studio space from Rachael, This space was SUCH a labor of love. We schemed and planned so many details when we first walked through and fell for it. We mainly wanted it to feel like home, since we knew we’d be spending so much time there. And we wanted the back of the space to remain open, clean and multi-functional. Our biggest goal for the space is for it to be used by all the people. Other florists who have local weddings and need a space to work, photographers hosting photoshoots, people celebrating their engagement or baby shower, creatives hosting workshops, etc. We hope people see it and can visualize their own event or workshop there. We want it to be warm, inviting and inspiring to others. That would make our hearts explode a million times. and it’s been so rad to already see it used by so many of our friends! We’ve worked so hard on it and want other people to be able to enjoy it as well! HUGE thanks to Garret (our woodworker) for building our shelves and work benches! I basically just shopped SMIDTHAT’s garage/studio for nearly all of our furnishings and we purchased our other tables (used for the dinner tables at the party) from our girl Adore Folklore. 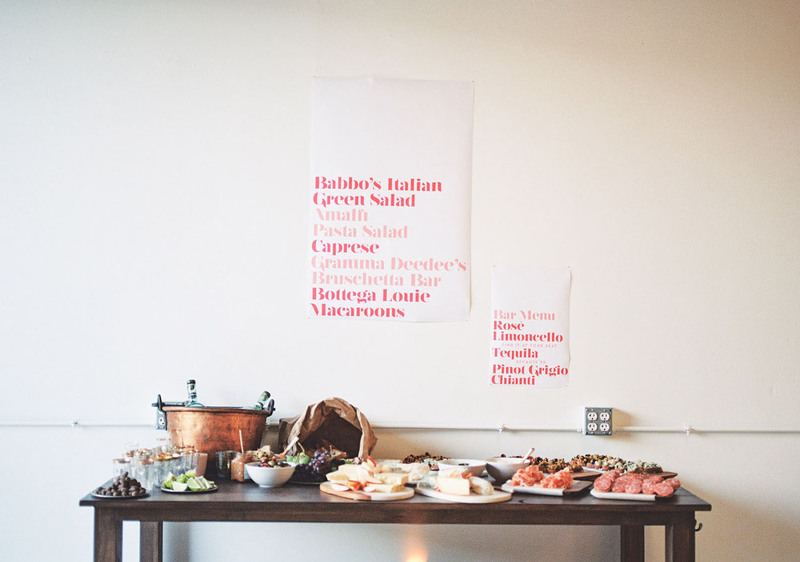 Pretty signage by birthday gal, Maggie, of Type & Title! 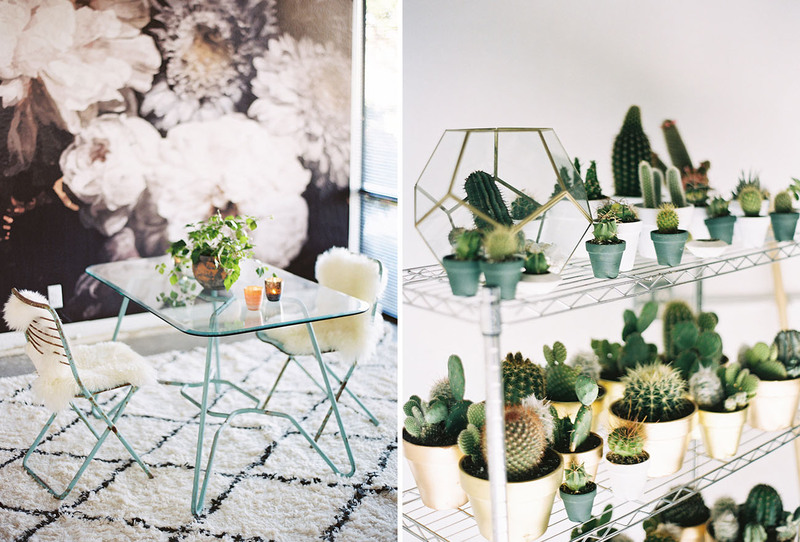 Loving today’s feature as much as we are? 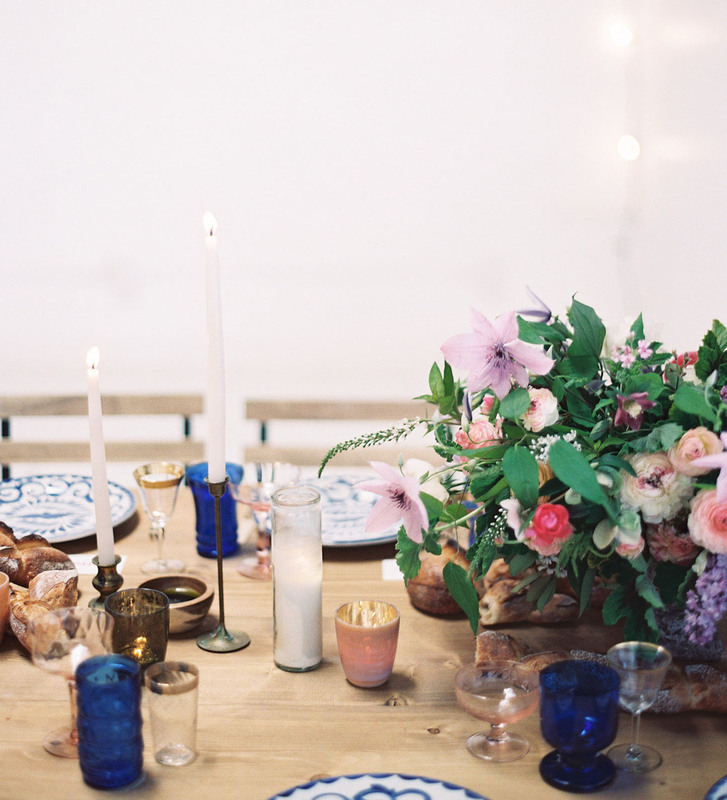 Shop the palette + look of this party in our guide below! Such a gorgeous party! 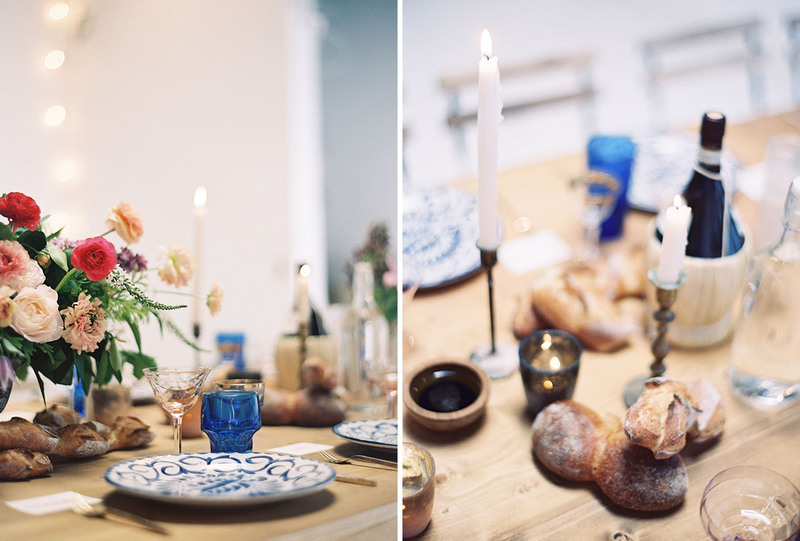 We’re definitely inspired to throw a festive bohemian dinner party – filled with plenty of Italian-inspired details! – sometime in the very near feature! What about you?! 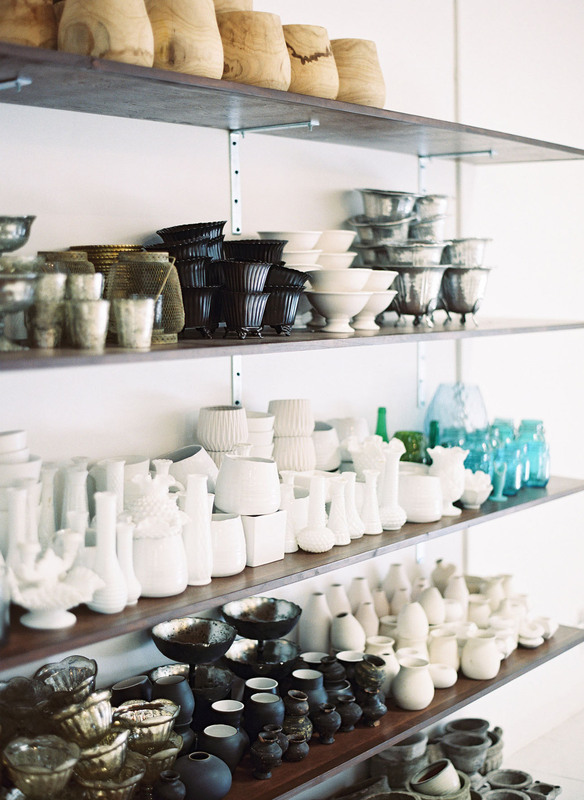 I love the china from this shoot. It makes such a statement!